New Years Eve is fast approaching and since it can be one of the most profitable nights of the year for nightclubs, bars, and restaurants alike, wouldn’t you like to stay open and serve alcohol all night long? Licensees may do just that by applying for an All Night Permit, also known as a New Year’s Eve Permit, from the State Liquor Authority, which allows them to extend their closing hour until as late (or really early) as 8:00 a.m. 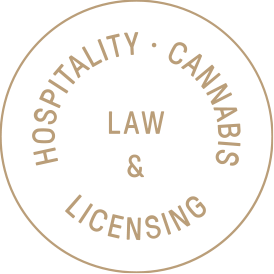 The granting of this permit is at the sole discretion of the State Liquor Authority, and from prior years experience, the sooner you apply the better. In deciding whether to issue the permit, the State Liquor Authority will consider a number of factors: (i) the timely filing of the application, (ii) the licensee’s disciplinary history, if any, which would also include any pending charges, and (iii) whether, given the nature of the event, the licensee has adequate facilities and security plans in place. The applications must be submitted no later than November 16, 2014. However, before you can submit your application to the State Liquor Authority you must send notice of your intent to apply for the All Night Permit to your local police department, and provide proof of such notice with your application. Therefore, we recommend starting the process as soon as possible. Contact us today to get your application for your All Night Permit started immediately.